Respect your efforts, respect yourself. 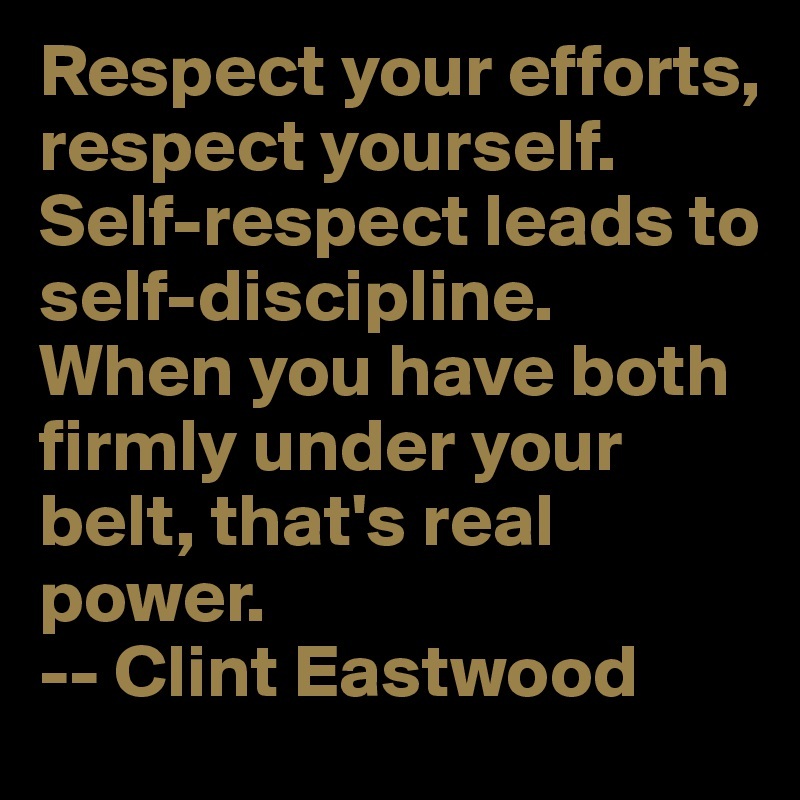 Self-respect leads to self-discipline. When you have both firmly under your belt, that’s real power. – Clint Eastwood. Picture & Quote Uploaded By Ari.